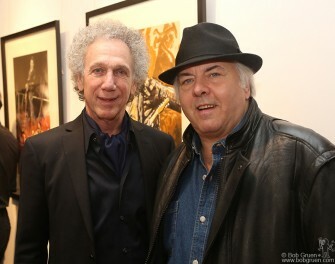 December 14 – New York – Elizabeth and I said hello to my old friend Peter Max at a reception for Rolling Stones artwork at the Broome Street Gallery. 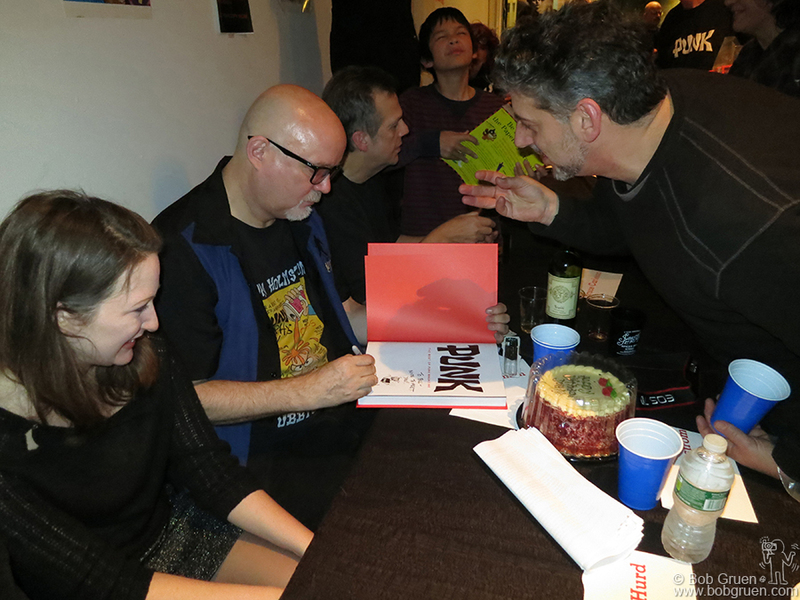 January 11 – Brooklyn – John Holmstrom signs copies of his new hardcover compliation of Punk magazine at the Powerhouse Arena bookstore. 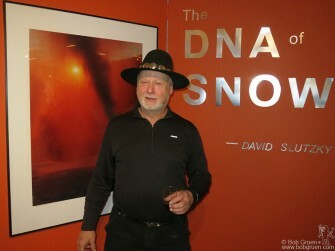 January 12 – Hunter Mountain, NY – David Slutzky has been making snow and photographing it for most of his life. 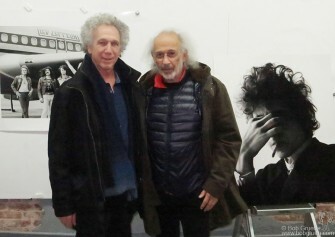 He had an exhibition of his amazing photos at the Kaaterskill Fine Arts Gallery. January 29 -New York – I met photographer Jerry Schatzberg at Griffin lab where we both get our prints made by Laurent Girand who took this photo of us with two of our most famous photos. 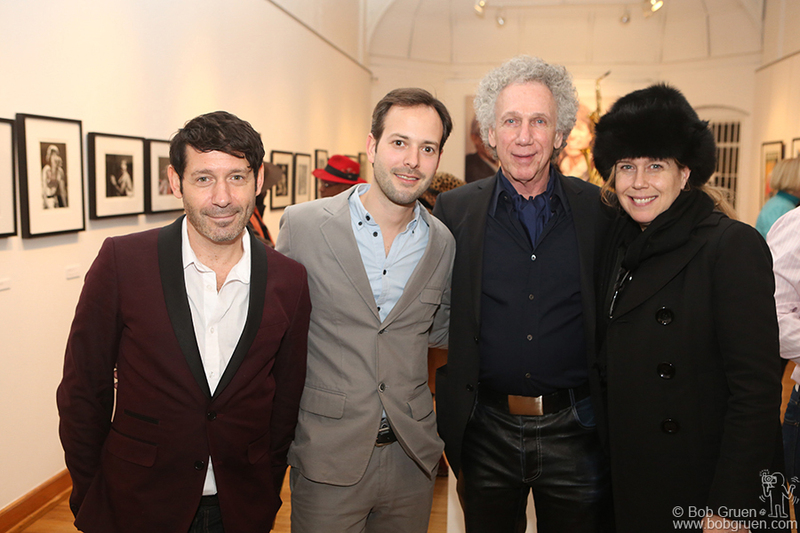 January 17 – New York – Publicist Adam Nelson and gallery director Brandon Coburn with me and Elizabeth at the opening of an exhibition of my photos of the Rolling Stones at the Broome Street Gallery. January 17 – – New York City – I was happy to see Gene Cornish of the Rascals at my opening on Broome Street. 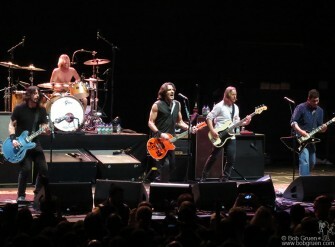 I used to see them perform on Long Island in the ’60’s, and they are taking a reunion show to Broadway! 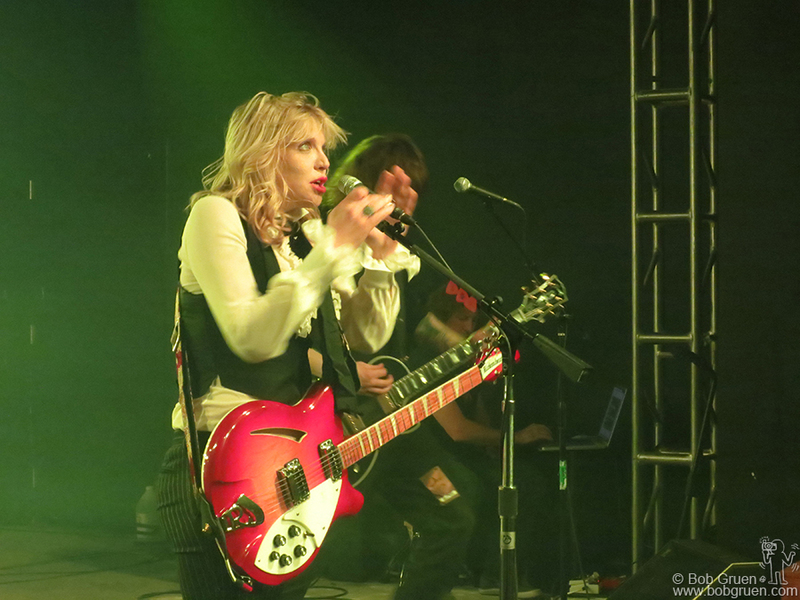 January 21 – Park City, Utah – Courtney Love performed at the Sundance Festival. After a year off she put on an amazing show at the Star Bar. 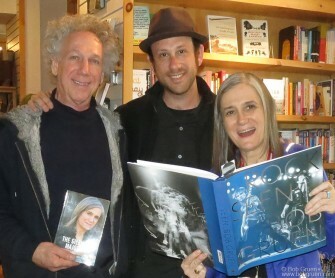 January 22 – Park City, Utah – My son Kris and I met Amy Goodwin at her booksigning at Dolly’s bookstore on Main Street. I had a booksigning there as well. 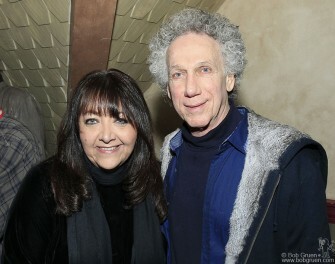 January 22 - Park City, Utah - After my booksigning, I attended the BMI dinner hosted by Doreen Ringer, above. 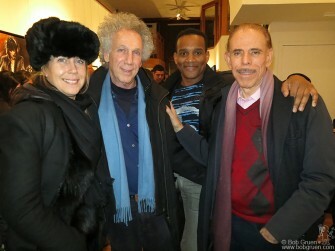 At the dinner I met singer/songwriters looking to place their music in movies. January 22 – Park City, Utah – After my booksigning, I attended the BMI dinner hosted by Doreen Ringer, above. 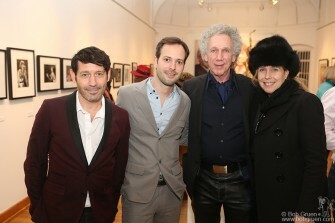 At the dinner I met singer/songwriters looking to place their music in movies. 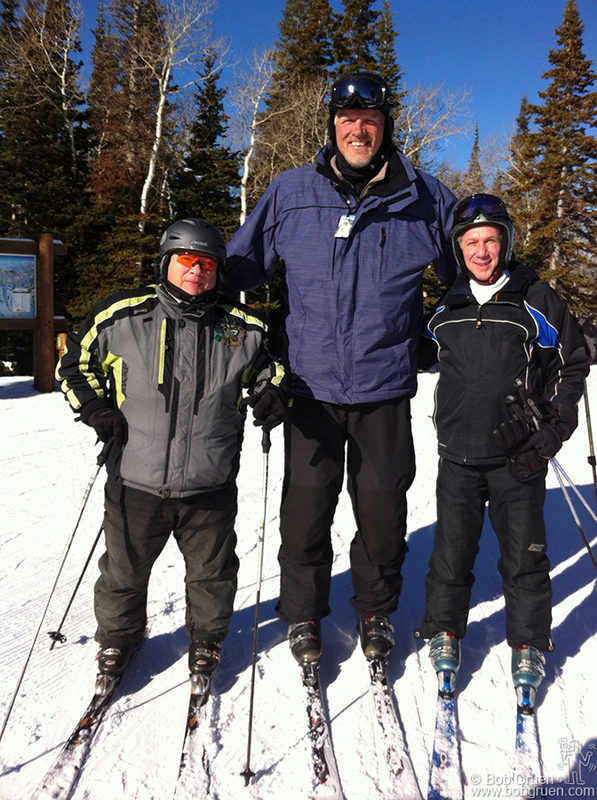 January 23 – Deer Valley, Utah – The real reason I go to the Sundance Film Festival is to ski with my friend Toby Mamis, on the left, with the famous 7’4″ basketball player Mark Eaton standing between us. 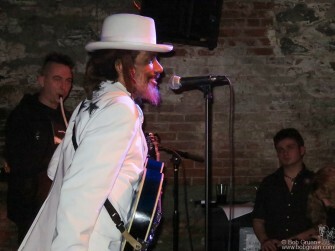 January 29 – New York – At the Bowery Electric I saw HR of the Bad Brains at the Joe Strummer memorial benefit for the Strummerville charity. 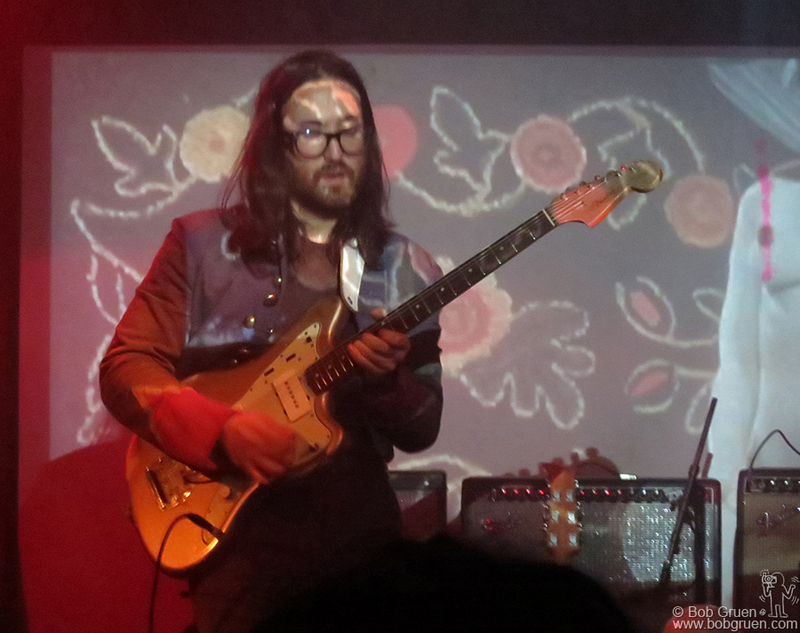 January 31 – Sean Lennon played a very eclectic set at Santos Party house. February 7th - Los Angeles - The Morrison Hotel Gallery opened a new store at the Sunset Marquis Hotel with a big party where I was a guest DJ! 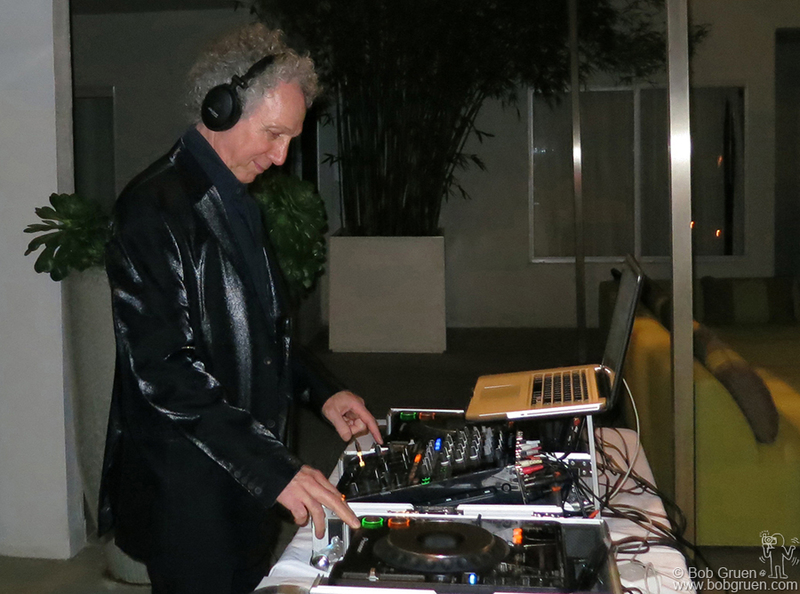 February 7th – Los Angeles – The Morrison Hotel Gallery opened a new store at the Sunset Marquis Hotel with a big party where I was a guest DJ! February 9th – Julian Lennon had a party for an exhibition of his amazing photography at the new Morrison Hotel Gallery at the Sunset Marquis and I got to talk to Gary Oldman, one of my favorite actors. 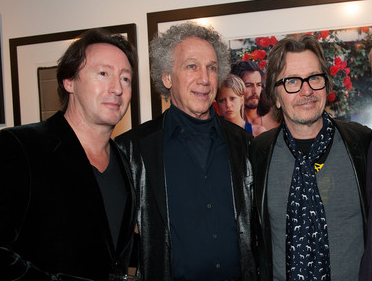 (L-R) Julian Lennon, Bob Gruen and Gary Oldham at Morrison Hotel Gallery in Los Angeles, CA. February 9, 2013. 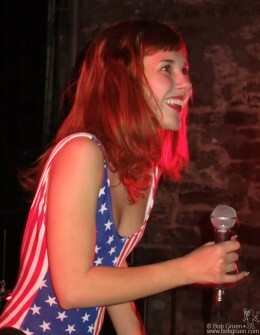 February 12th - New York - Laura Hajek was really great fun at the Bowery Electric show of her band, Edith Pop. February 12th – New York – Laura Hajek was really great fun at the Bowery Electric show of her band, Edith Pop. 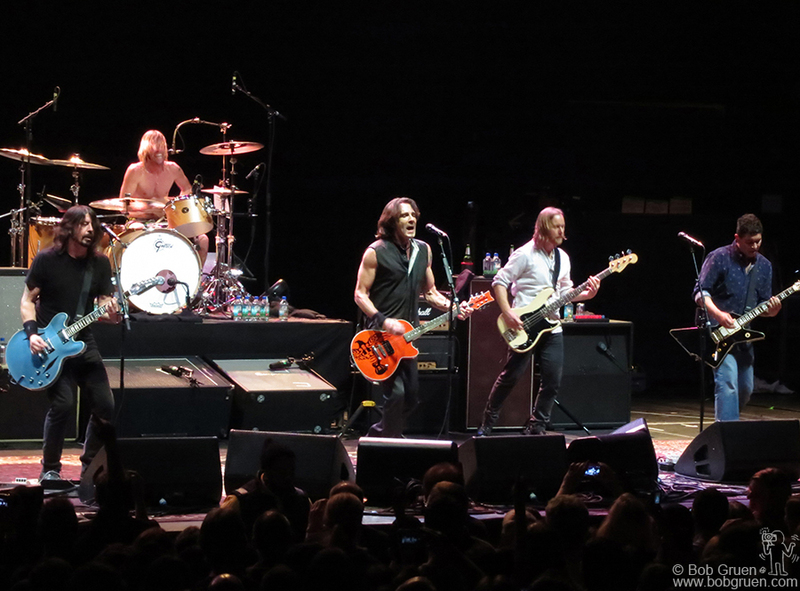 February 13th – New York – Dave Grohl played with his band mates from Foo Fighters, with a guest appearance by Rick Springfield, at the Hammerstein Ballroom in a show promoting Dave’s film ‘Sound City’. 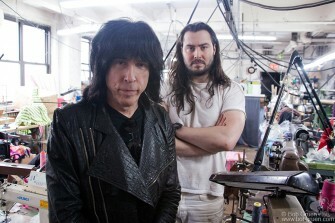 March 7th – I had a photo session with Marky Ramone and Andrew WK who are making plans to play and tour together. March 4th – Famous fashion designer Michael Schmidt made the worlds first 3D printed dress, worn by Dita Von Teese at the Ace Hotel. March 4th – New York – I posed for a photo with Debbie Harry at Michael Schmidt’s 3D dress event at the Ace Hotel. 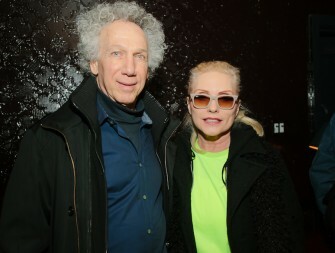 Bob Gruen and Debbie Harry of Blondie during the Michael Schmidt 3D dress event at Ace Hotel, NYC. March 4, 2013. 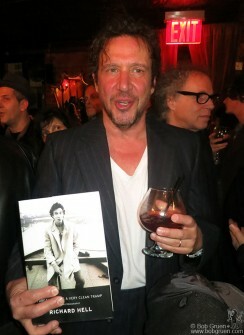 March 12th – New York – Richard Hell shows his new biography at his book release party at the Bourgeois Pig bar in the East Village.